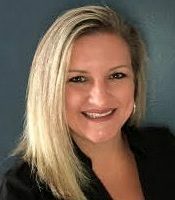 Nicole Caldwell joins the Lendello Family with 15 years industry experience. Her Real Estate/ Mortgage journey began in 2003 as a Residential Appraiser in the Central Florida area. Unfortunately, with the Great Recession, real estate values dramatically decreased and the industry was turned upside down. It was at this time that Nicole and her family relocated to Texas. She started from the bottom at a family owned mortgage company learning all she could about the industry. During the next 7 years, Nicole honed her skills from the Operations side of mortgages and eventually leading her to originating mortgage loans. In 2014, Nicole relocated back to the Central Florida area, to help those where she calls home. She has continued her hard work helping real estate dreams become reality. This is driven by her love for her community, a love to help others and a love for Homes! Nicole’s other love is of course her family – the crazy group includes her husband, 2 young daughters, 2 dogs and 2 cats! Nicole is the perfect fit for all your mortgage needs; Not only due to experience but also her LOVE for people and homes!